Iris is the pigmented screen present in front of the lens of eye. The black melanin pigment in it prevents the entry of harmful rays and restricts the entry of light into the retina. The melanin in the iris consists of two distinct macro molecules called Eumelanin which is brown black in colour and Phenomelanin which is yellow-reddish in colour. The pattern in the Iris is complex and unique that can be used as an identity mark. 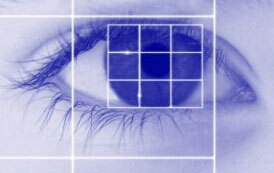 Biometric method of identification uses the Iris recognition system to record the image of the Iris. The system uses infrared illumination to acquire images of the detailed rich intricate patterns of the iris. Digital template obtained from the iris pattern through mathematical and statistical algorithms allow the identification of an individual because iris pattern is more unique than the finger print. Definitely, Migraine is a headache in our life. At any time it can break in Migraine prone individuals with moderate to severe headache in association with many psycho somatic symptoms. The word Migraine came from the Greek word Hemikrania meaning pain on the side of the head. Migraine attack is usually unilateral affecting one half of the head with painful throbbing and associated symptoms like Nausea, Vomiting etc. Photophobia (aversion to light), Phonophobia (irritability to sounds), Visual disturbances, Fatigue etc are also associated with the Migraine attack. Around one third of people with Migraine, perceive an Aura which is a transient visual, motor and sensory disturbance indicating the starting of Migraine attack. As experts say, Migraine is not a disease but a condition triggered by multiple factors which may vary from persons to persons. Let us see the reasons, symptoms and methods to avoid migraine attack. Curing light technique is widely used in chemical engineering, polymer processing and medicine to generate heat in the targeted area. Infrared, Ultra violet, Halogen light etc are usually used in curing light technique. With the introduction of high power LEDs, blue LED light is now used as a source for curing light technique.Dental curing light is used by the dentists for treating tooth cavities or filling root canals. The new light curing technique is based on Blue LED. High power LED (3 or 5 Watts) is used as the light source which emits blue light in the wave length of 430-485 nano meters. Light intensity can reach 1000 milli watt per cm2 and the timing of curing usually 10 -20 seconds can be set using a timer. 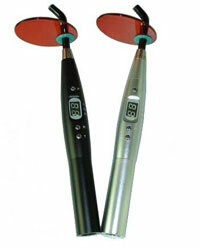 The LED lamp hardly generates heat so the operation is comfortable. The light output can be adjusted as Fast, Ramp or Pulse depending on the requirements. Electronic tags are now widely used for identification and tracking objects. Tags also find uses in commercial products to mark their identity . The object tagged with the Electronic tag can be easily identified or located. The common type of tag used is the Radio Frequency Tag or RF Tag . Radio Frequency Identification ( RFID) is the technology used to transfer data from an Electronic Tag using radio frequency waves. The Tag called RFID Tag or RFID label is attached to an object and the data is collected in a RFID Reader to track the object. The signals from the Tag can be collected by the reader even if the Tag is located far away from the line-o-sight of the tag. The RFID tracking is a form of automatic identification technology using a unique serial number in the tag. RFID is widely used in biometric identification systems, domestic utilities, commercial items, security services etc for easy identification. Unlike Bar coding system, RFID does not require direct contact with the object and even it can identify the tagged objects placed in the body. Electronics is emerging as a new branch called Bionics in combination with biology since there are possibilities to explore the ideas from living organisms. Micro organisms are now considering as the major source for developing DNA chips, Molecular switch etc. This new field is the Synthetic biology. The DNA chips opened a new era in medical research and medical diagnostics. The DNA chip can provide large quantity of genomic data of microorganisms in a few hours, so that identification of the microbe is very easy. A DNA chip is a” Micro array” of genes attached at fixed locations on a solid support like glass slide or silicon membrane. Not their fault, but the result of evolutionary change to bring variation and viability in the population. Personality of human beings reflects in their behaviour in the society such as interaction with fellow beings, doing daily activities, doing competitive works etc. According to researchers, human beings belong to three classes based on their behaviour. Type A behaviour also called TAB personality is characterized by the competitive attitude and enthusiasm. So most of such personalities are workaholic. They can be referred to as Stress Junkies because they are always concerned about the job. Type B personalities on the other hand are generally patient, relaxed and easy going. The AB personalities show a mixed behaviour and they cannot be clearly categorized as either Type A or Type B personality. Type A individual are ambitious, aggressive, controlling, highly competitive, impatient, and time conscious persons.Type B personality is almost perfect when compared to Type A personality. They are generally patient, relaxed, easy going, lack overriding, sense of urgency etc. Type B personality is apathetic and are disengaged persons as experts says. They often do jobs silently without showing much stress. Competitive mentality and sense of impatience are less in Type B persons. AB personality is a hybrid behavior showing both Type A and Type B characteristics. They have mixed profiles and difficult to categorize as Type A or Type B persons. Health psychology studies say that the mental health and physical health are closely related. But still there are controversies among psychologists and researchers to classify personalities based on sample data and merely observing behavior. Some researchers have the opinions that, the personality can change due to learning, social behavior and also due to the changes in the living environment and life styles. Most people use shorthand language for sending SMS and in email chat. This popular short hand language is known as Internet Slang. With the introduction of computer based communication, the Internet slang words popularized because of its simplicity and time saving feature. The Slang involves the use of informal words and expressions which are not considered as the standard dialect. The origin of the Slang word has some connection with the Thieve’scant which are the broken words and codes once used by the thieves to convey their secret messages. SMS is the fancy of young people especially students and the Mobile companies provide offers to increase its use as a trick to promote mobile use and to keep the users in their network. Unknowingly most people are in a state of Mobile addition. Slang words can influence our language expression, vocabulary etc to a certain extent. For verbal communication, we have two centres in the brain. The Wernicke centre is doing Language comprehension and the Brocas centre helps to express the language in the form of speech. When we read a sentence, the Wernicke centre conceives its idea and sends the information to the adjacent Brocas centre, which then helps to express the information in the form of speech. If we use code words frequently, that may affect our language expression. If a child uses the code UR for sending messages frequently, he may pronounce YOUR as UoooR and sometimes he may write like this in examination. Experts say that heavy use of Codes and Slangs in internet and mobile phone may create problems in children to grasp the basic grammatical concepts and reduce their thinking and speaking ability. This also reduces the meaning of English and drops their ability to speak more phonetic.